PAC offers exciting sales training course led by 35-year vet Brian Schiedel. 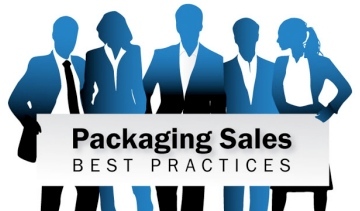 PAC—The Packaging Association is hosting a sales training program specifically designed by packaging business leaders and experts, based on successful best practices and learn the sales process approach that your customers will endorse. The course will led by Brian Schiedel, who brings over 35 years of business and sales management success to the development and presentation of the Packaging Sales Best Practice Course. As an industry expert, he has developed sales forces in the Folding Carton and the Label sectors across Canada and the USA. His process approach has been proven highly successful in new business development in the complex sales environment of Packaging. at PAC – The Packaging Association at 519-990-0134 or via e-mail at quebec@pac.ca.